If your marriage is to last, you'll need something to keep the love burning. For one New Jersey couple, that vital relationship lynchpin has been Burger King. 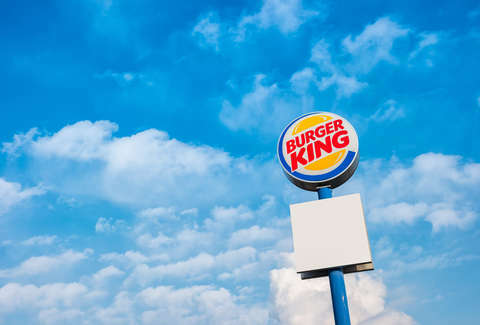 Lloyd and Sandi Howard of Monroe, New Jersey are a testament to what cheeseburgers can provide for your marriage: For the last fifty years, they've visited a Burger King on their anniversary. If your tear ducts are welling up, well, that's perfectly normal. The couple got married in 1968, and the tradition of celebrating their nuptials with BK got started by accident, the couple told the Today Show. Many moons prior, on their first anniversary, the couple was running late to a Broadway show, and scrapped their regular dinner plans in favor of some Burger King. The next year, something similar happened, and conveniently, the couple found another BK outpost when they needed it. "I forget where we were going, but it was around lunchtime, and we realized that it just happened to be our anniversary," Lloyd said. "We just figured — maybe for good luck — that we’d just keep going back on our anniversary." From there, the restaurant sort of became a symbol of their love, and they returned on every anniversary, including this year, when Lloyd and Sandi enjoyed whoppers in the company of their children and six grandkids. "They were all there, and they'd never met us at Burger King before — it was a total surprise," said Sandi. "We were just floored. The most important thing was to be with them." Burger King should no doubt be grateful for it's new association with marital bliss and beer-dispensing crowns.